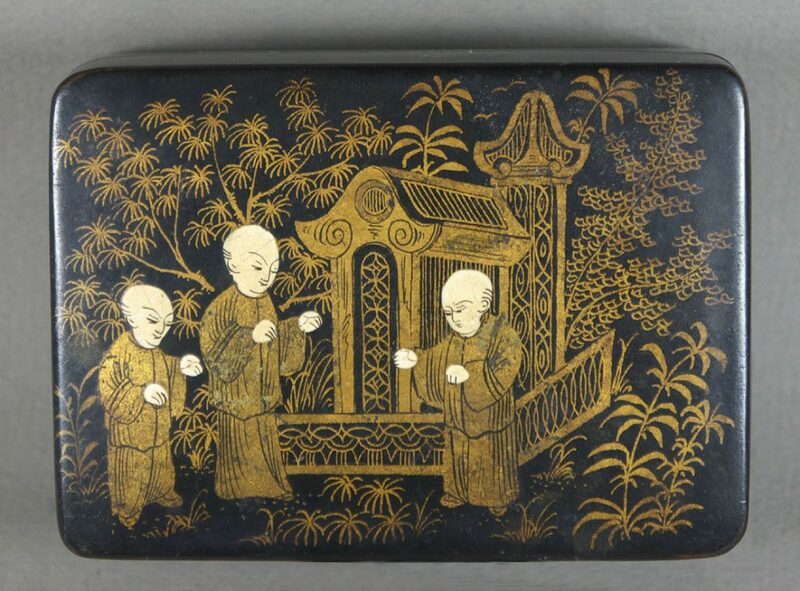 Victorian English papier-mache chinoiserie box, decorated with a gilt transfer of three figures in a garden pavilion. 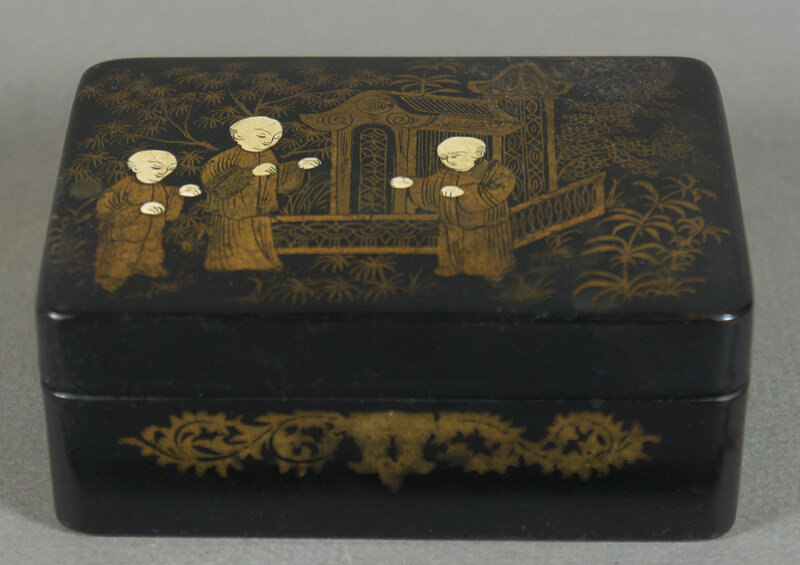 Pavilion decoration approximates cash symbols while figures have typical painted faces and hands. Features are well defined and not worn.